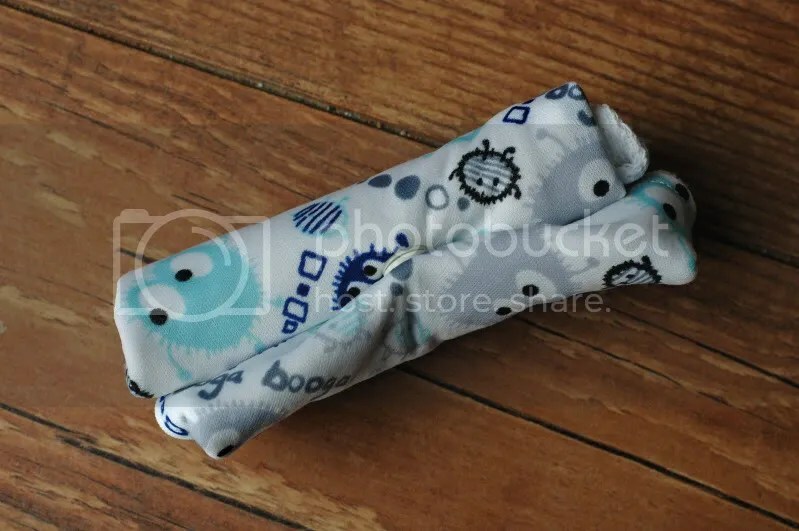 The lovely Emily, of The EC Store, has given me permission to share my method of making potty covers for the Baby Bjorn Little Potty. 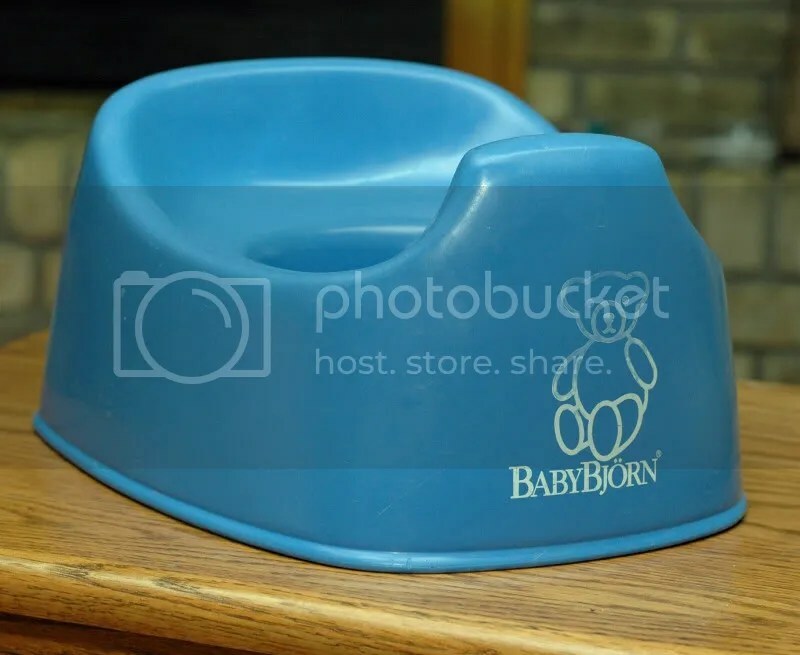 We practice Elimination Communication with our babies and, while we love it, a plastic potty can be very chilly on a toasty warm little bottom! (A potty is especially chilly when it is the one we keep in the van and the month happens to be January.) 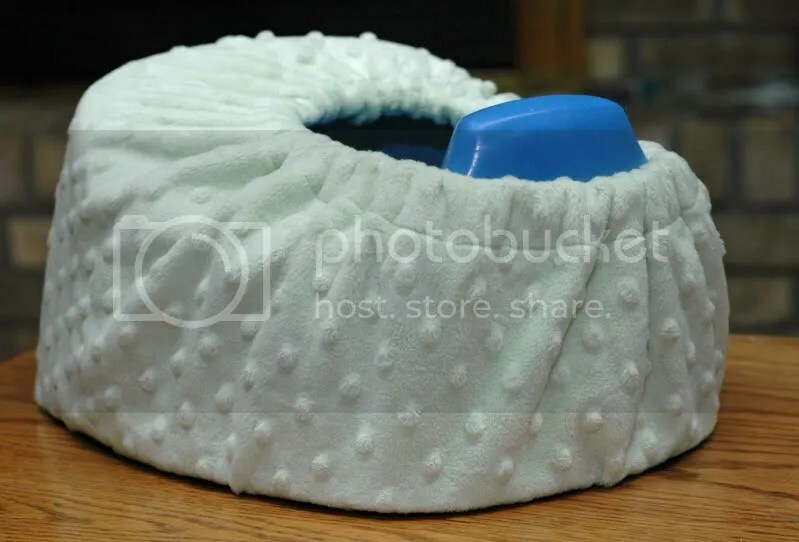 While it is extremely easy to make a potty cozy, if you would like one and aren’t into sewing, please check out the covers at The EC Store, called Potty Turtlenecks. 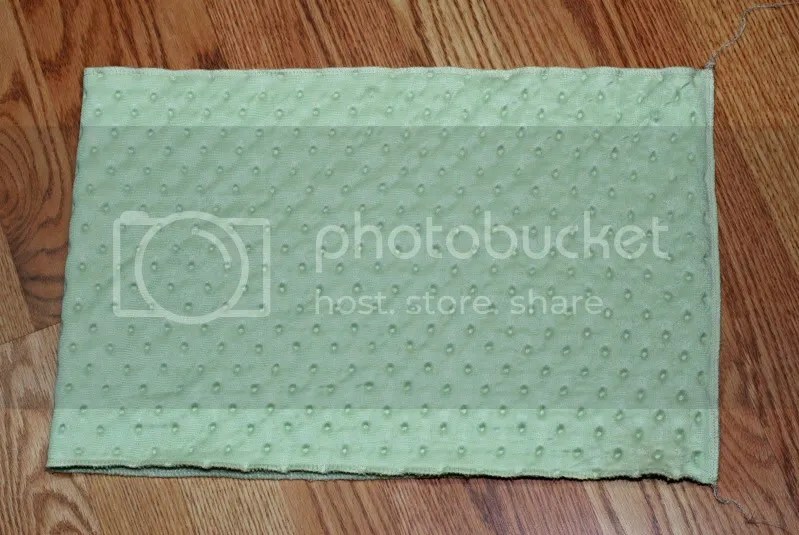 a piece of fabric 12″ x 38″; you will want to use something that will not absorb wetness from occasional splashes. 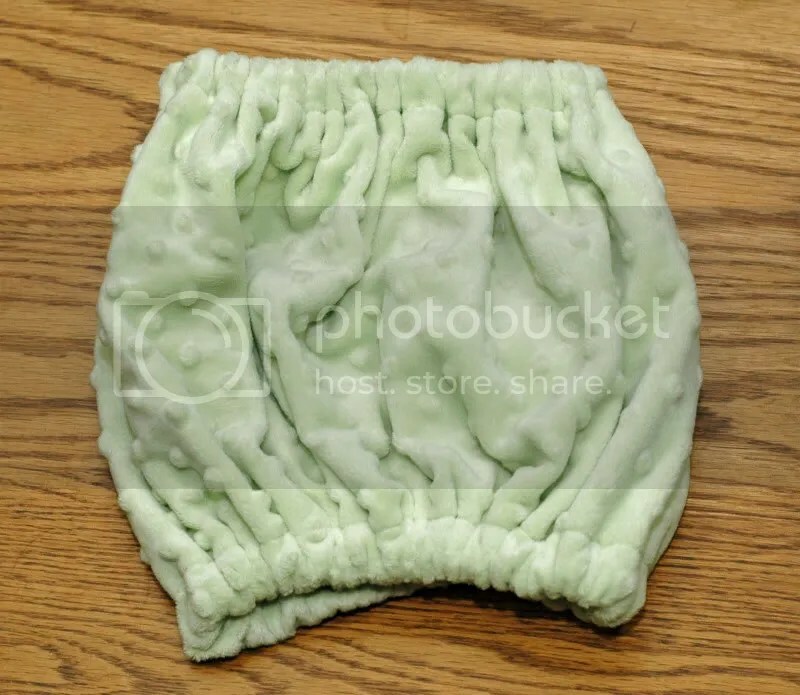 Polyester fleece is a great choice, but other fabrics such as minky (which I used for the tutorial) will also work. I imagine a nice wool interlock or jersey would also work well. 1. 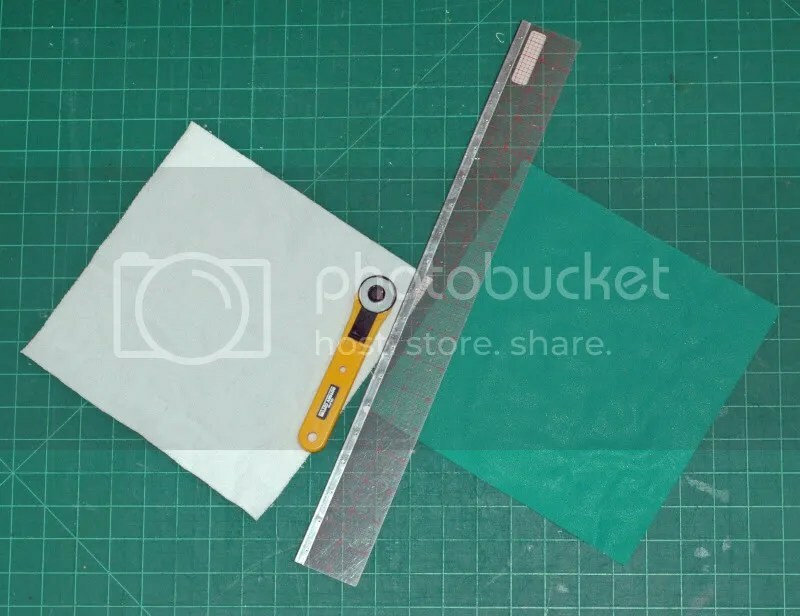 Gather your materials and cut your fabric to size. The stretch should go across the fabric widthwise. 2. Optionally, serge or zig-zag the long ends of the fabric. This is really unnecessary with polyester fleece, but if you are a perfectionist, please go ahead. 3. Serge, zig-zag or straight-stitch the short ends of the fabric together, right-sides facing each other. 4. Turn up one open end 1″ and press/pin in place. (Pressing doesn’t work really well with this type of fabric, but it might help to keep things from shifting.) 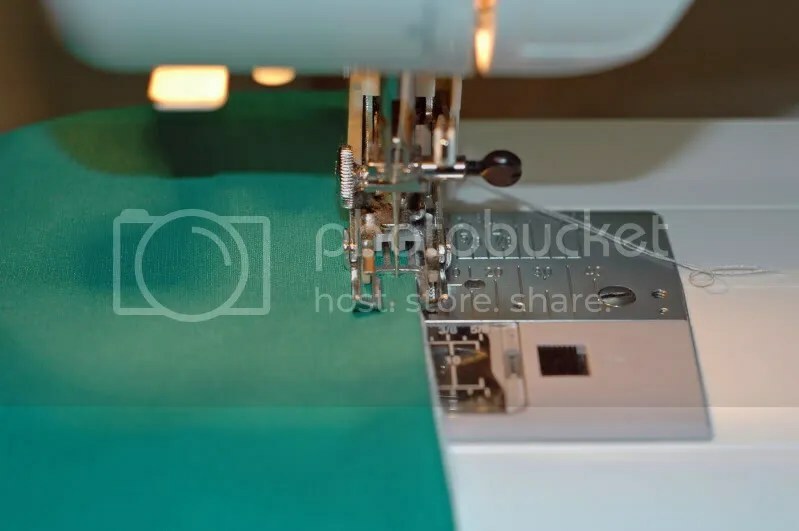 You will have the wrong side of the fabric facing out and be turning it up so that the wrong sides are together for that 1″ strip. 5. Repeat for the other open end. 6. 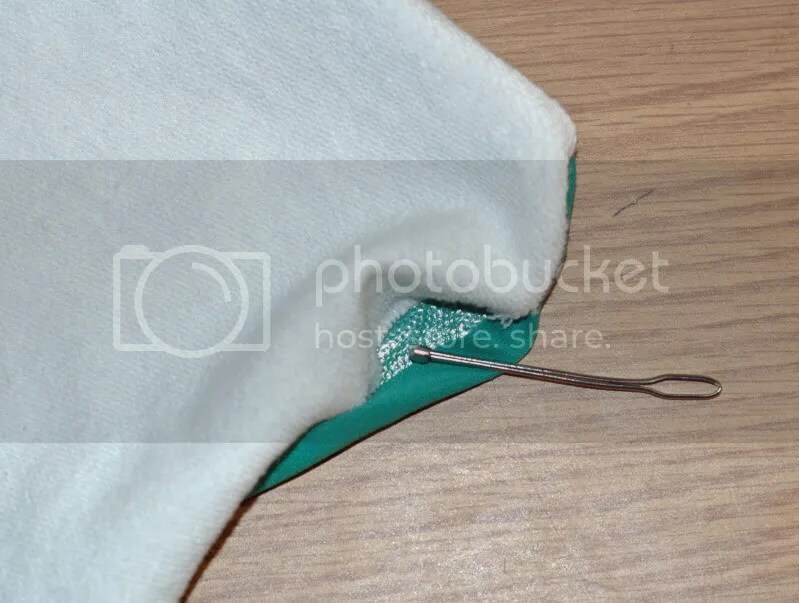 Straight stitch around the pinned ends, leaving about a 1″ gap for threading the elastic. I like to stitch with my presser foot along the edge of the fabric (where my serging is). 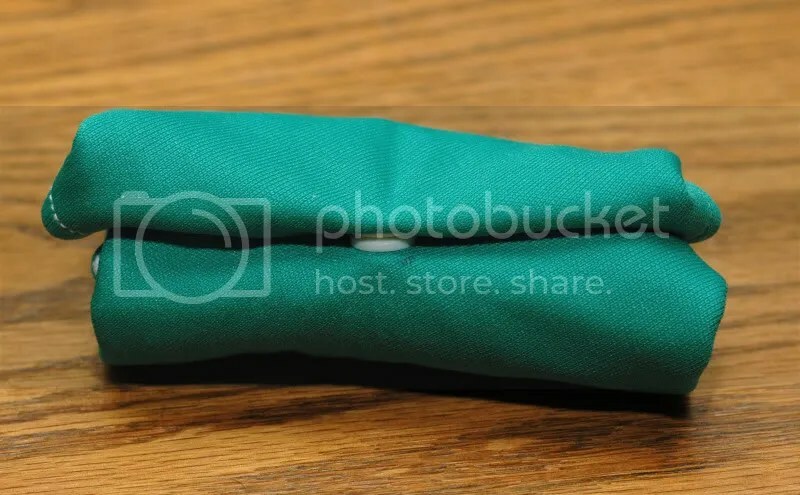 This leaves a nice casing for the elastic. 8. Thread the elastic through the casing on one end. 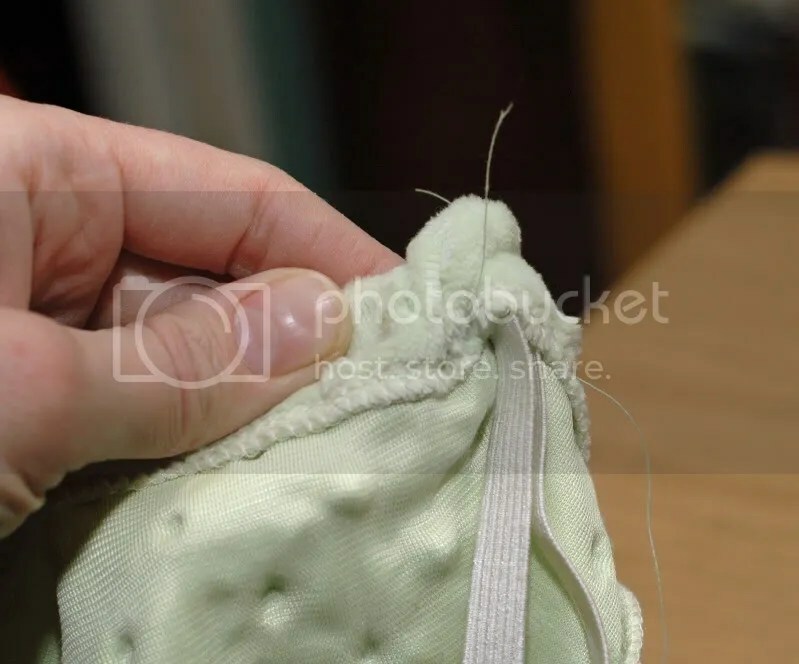 Use the extra length of elastic (since you haven’t cut it, yet) to help you straighten everything out and then pull it up until you get to your mark. 9. Cut the elastic at your mark and overlap it at this point. 10. Using a zig-zag stitch, sew these ends together. 11. Pull the fabric to make the elastic disappear inside the casing and disperse the gathers a bit. Repeat with the other side. You don’t need to bother sewing up the little openings, but if you really want to, go ahead. 12. Trim your thread ends. 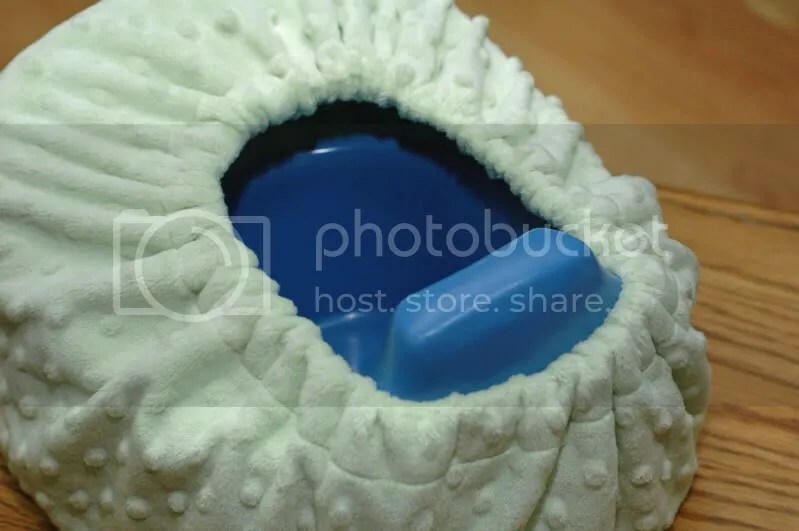 I’d love to hear if you make a potty cozy from my tutorial. Please leave me a comment and/or link to your blog. I would also ask that you don’t sell cozies made from this tutorial out of respect for Emily of The EC Store, whose original I used for my ‘pattern’. Having a baby who sleeps at night is fantastic. I highly recommend it! 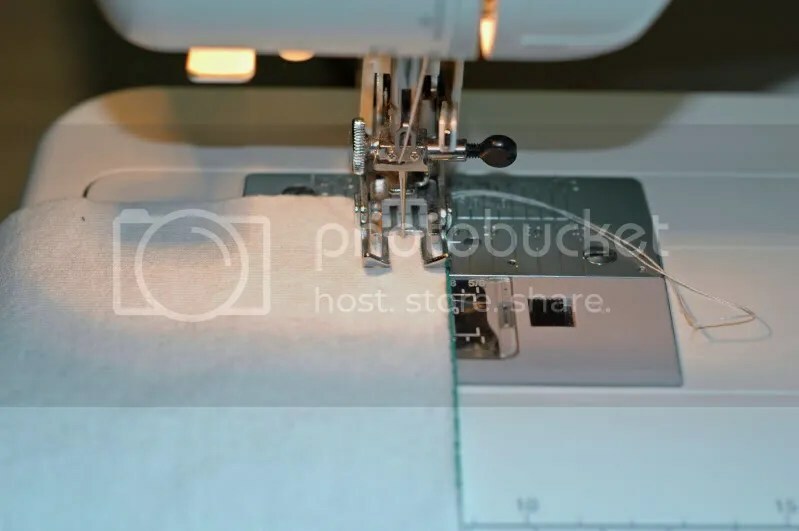 It has been awhile since I have had some reliable sewing time. Now that I do, I thought I’d share with you a handy item I designed which was inspired by something a friend of mine made up years ago. It never ceases to amaze me how my children can get sticky or dirty just about anywhere. 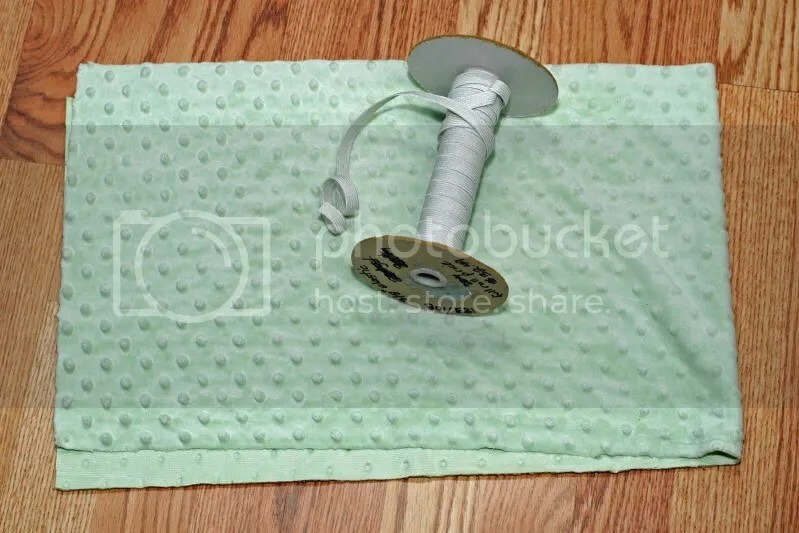 I love having a little wet cloth all ready to go. 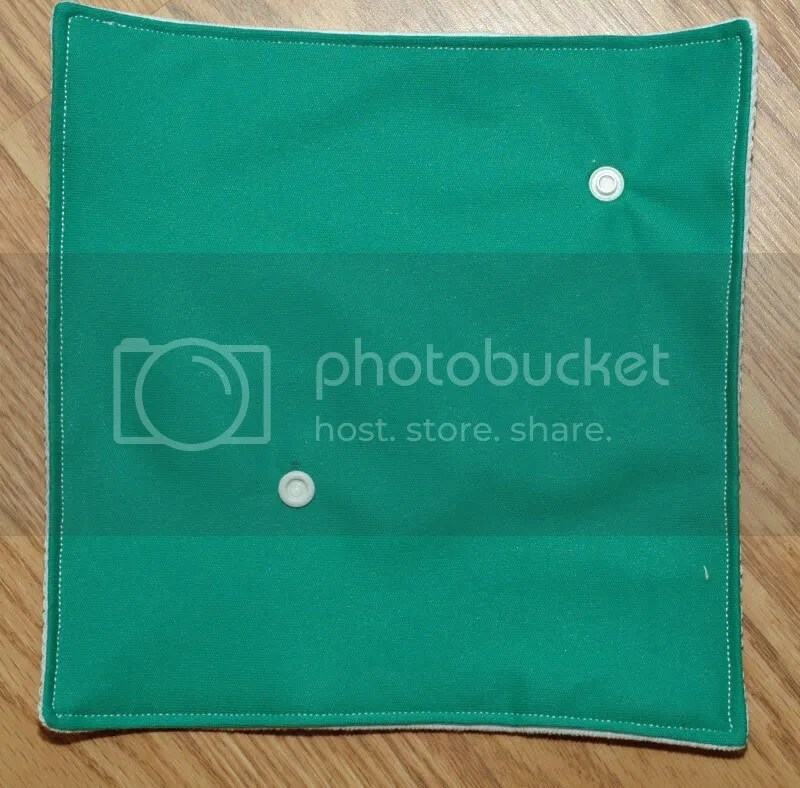 The Snappy Wipe To-Go is a handy reuseable wet cloth that you can toss in your purse. It does not need to be put into a ziploc bag, as it has its own waterproof cover. 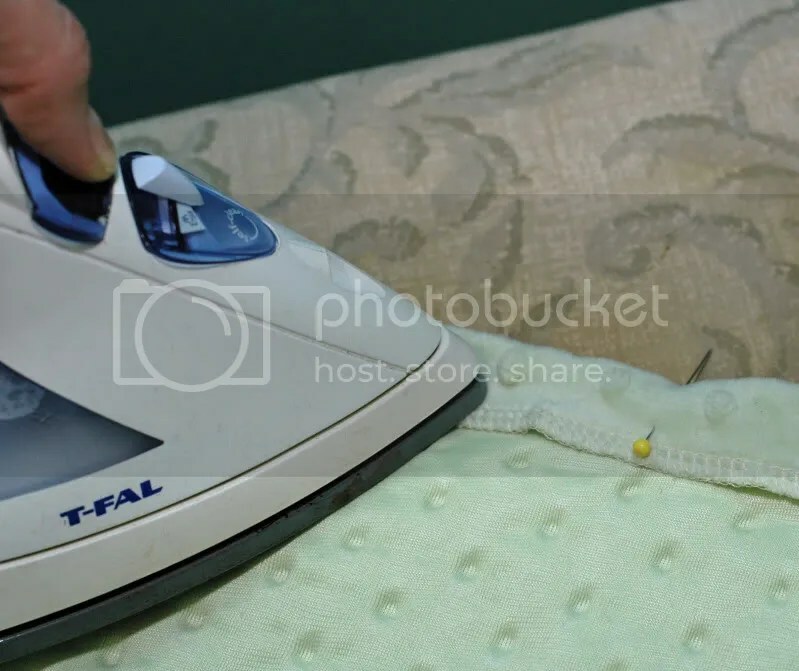 It can be washed and dried and it is super-easy to whip up yourself. 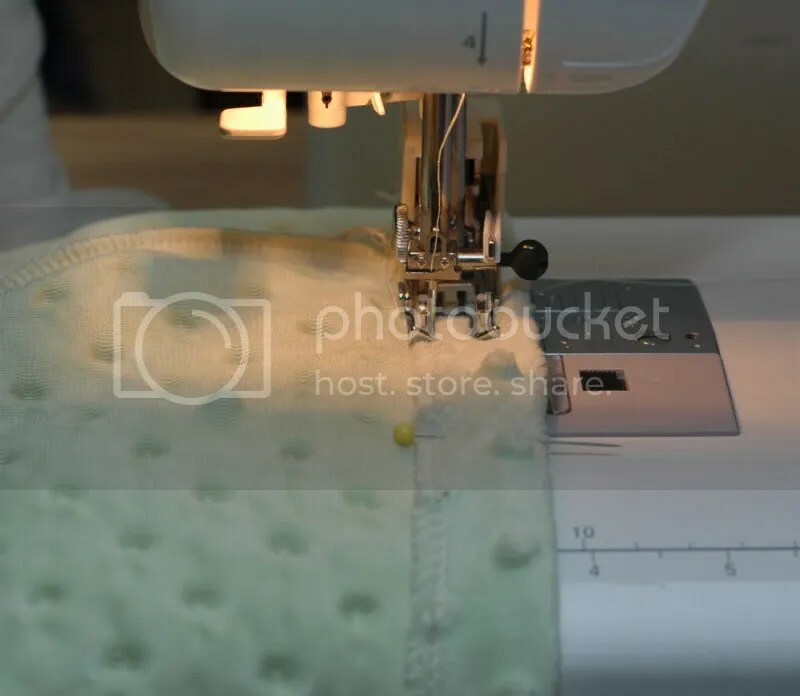 If you are a diaper sewing mama, this is a great way to use up some leftover PUL scraps. 1. 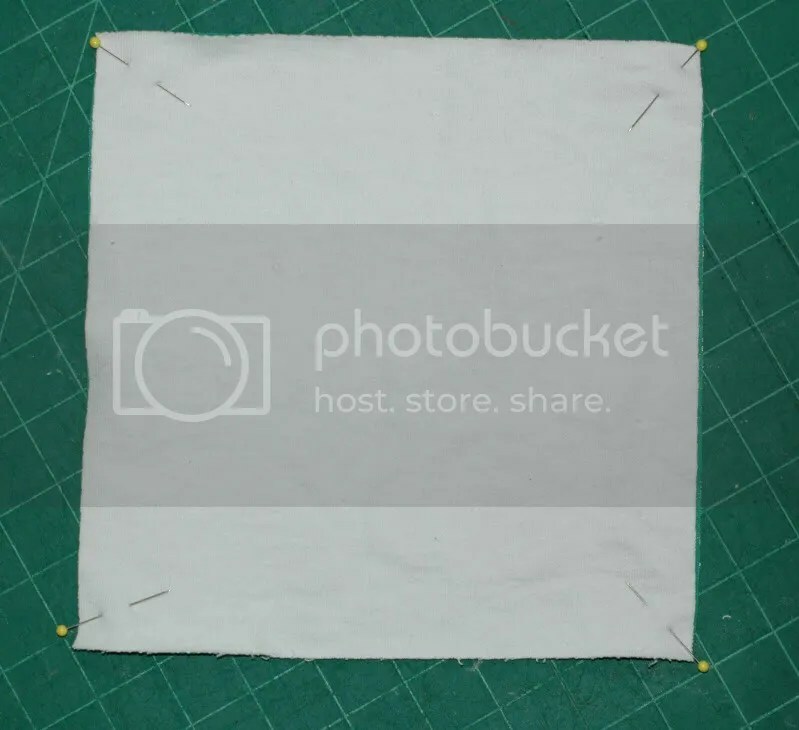 Begin by cutting your fabric so that you have one 9 x 9″ square of PUL and one of absorbent fabric. 2. 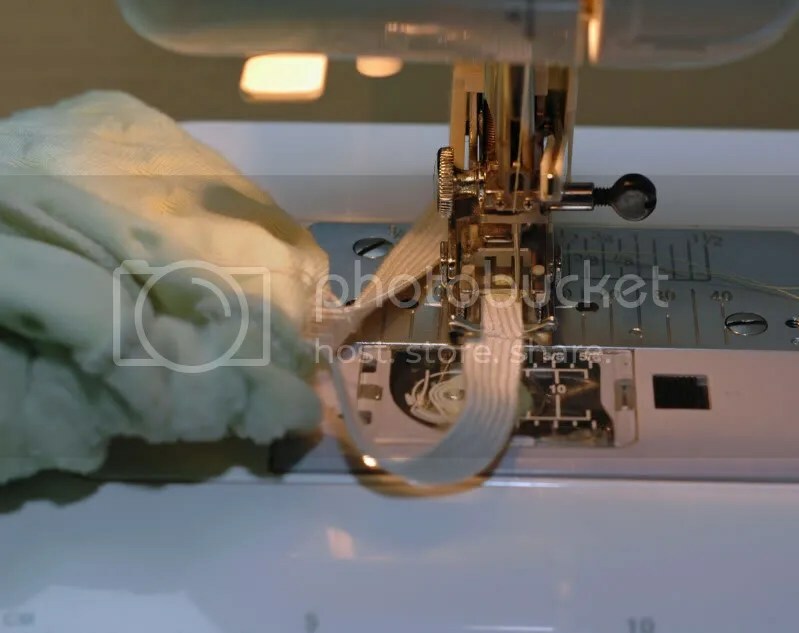 Place your fabrics right sides together and pin if desired. 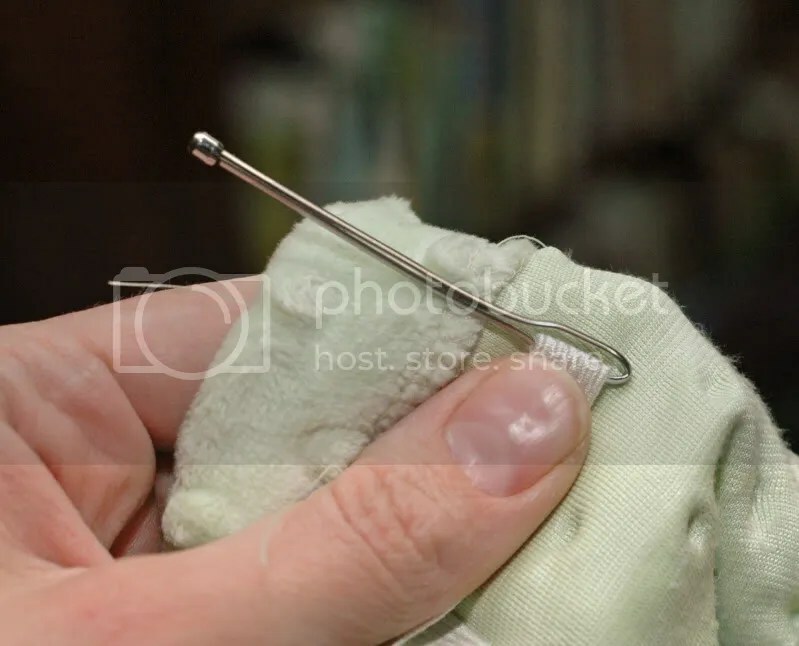 You can also use a gluestick or clothespins or just hold them together carefully. 4. Trim your corners on a diagonal so that when you turn them, they will be nice, sharp points. 5. 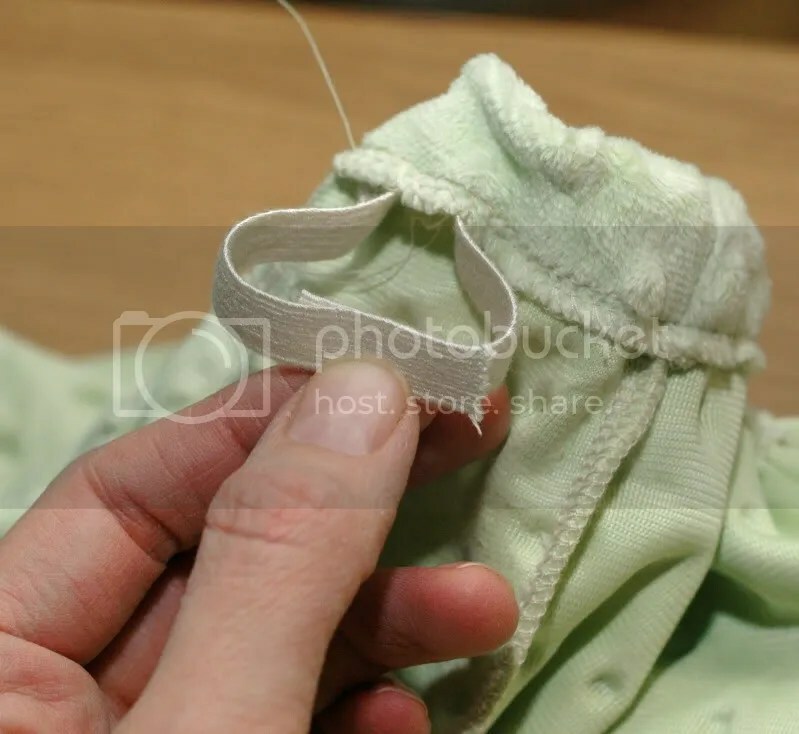 Turn the whole cloth right side out through the little opening you left. Use something pointy to help you push the corners out. I used a bodkin here because someone has taken off with my special corner turning tool. I also sometimes use a not-perfectly sharp pencil. 6. 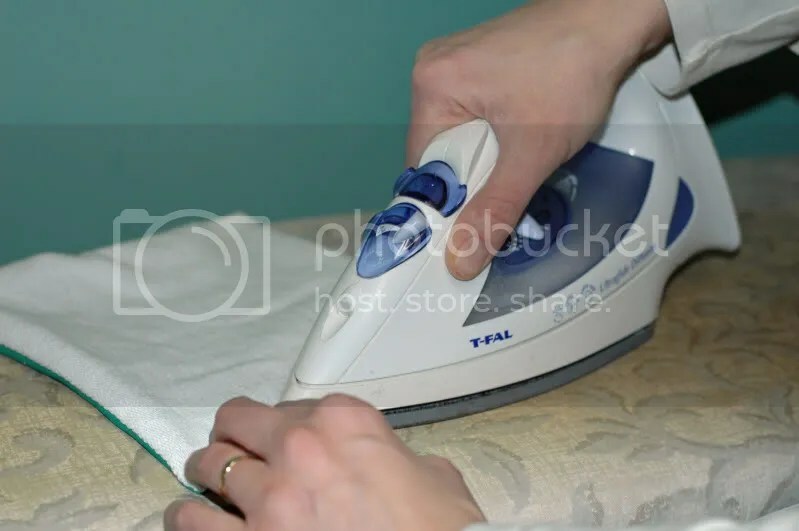 With an iron set on low with no steam, iron your cloth. 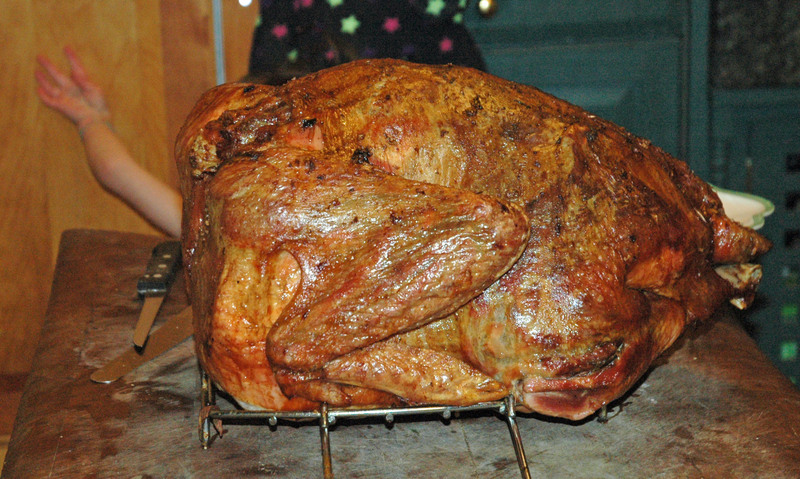 Pay attention too the opening, making sure to line up and tuck in the edges well. 7. Topstitch the entire cloth, closing in the opening in the process. 8. 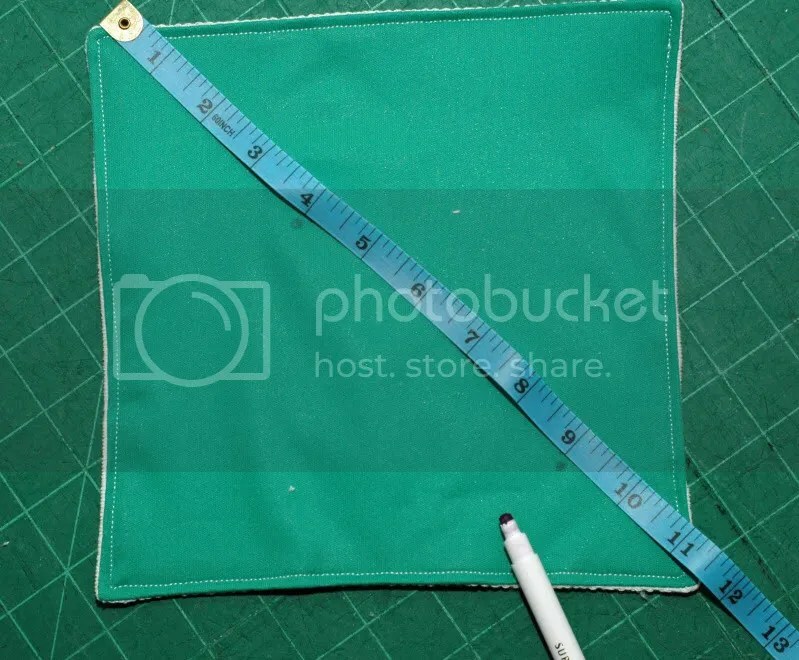 Mark your snap placement by laying a measuring tape on a diagonal across the middle of the cloth. You will probably find that your cloth measures about 11 1/2″. 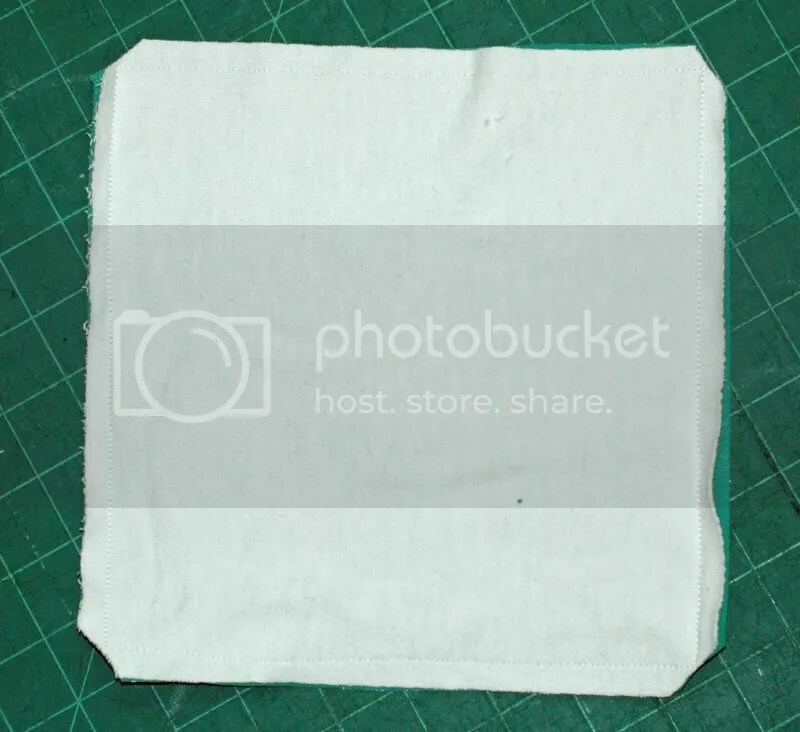 Using a washable marker or a pencil, mark a dot for the snaps at 4″ and 9″. 9. 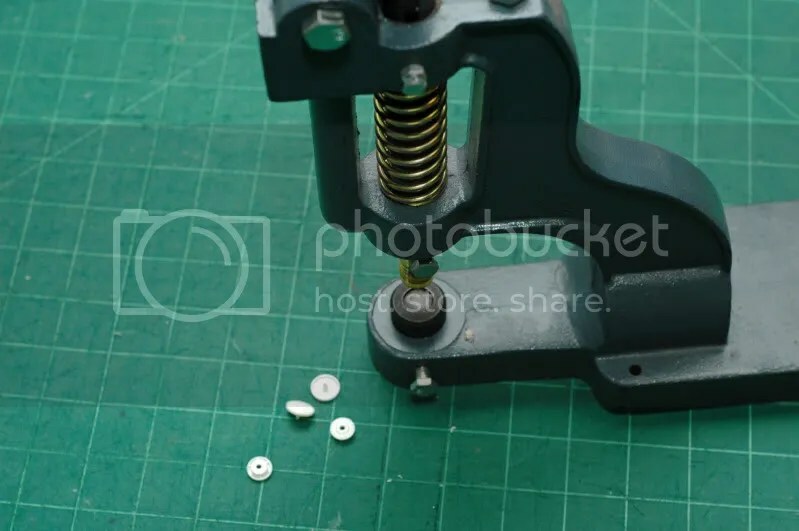 Gather two caps, a stud and a socket as well as your snap press or pliers. 10. 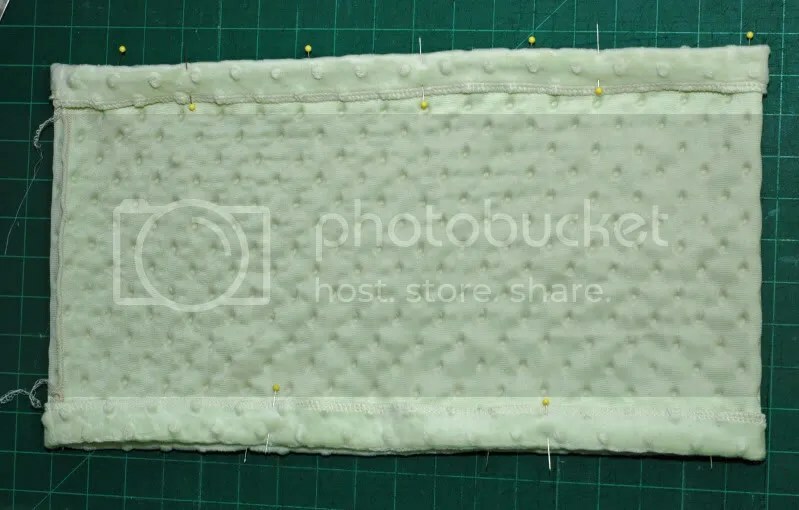 Both caps will be going on the absorbent fabric side, with the stud and socket facing up on the PUL side. It doesn’t matter which of the two spots has the stud and which has the socket. Apply your snaps. Guess what?! It is done! 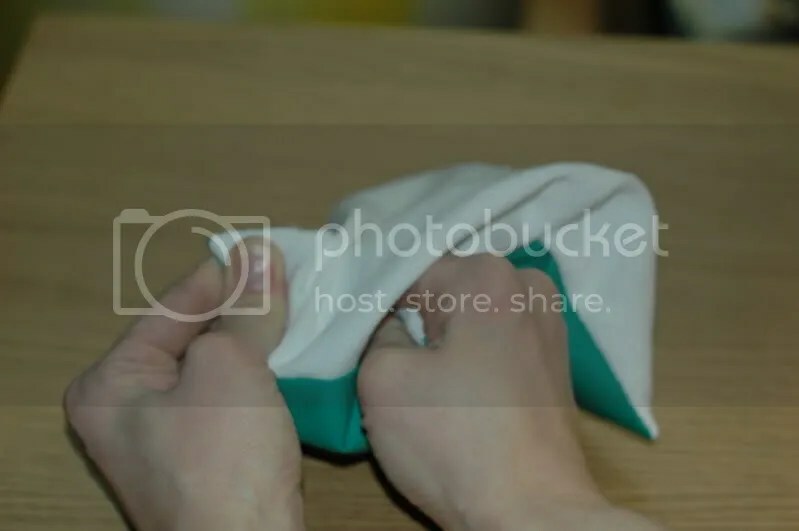 After wetting your cloth with plain water or a fancy wipe solution, place the cloth with the absorbent side up and fold in the two corners without snaps, so they overlap in the middle. 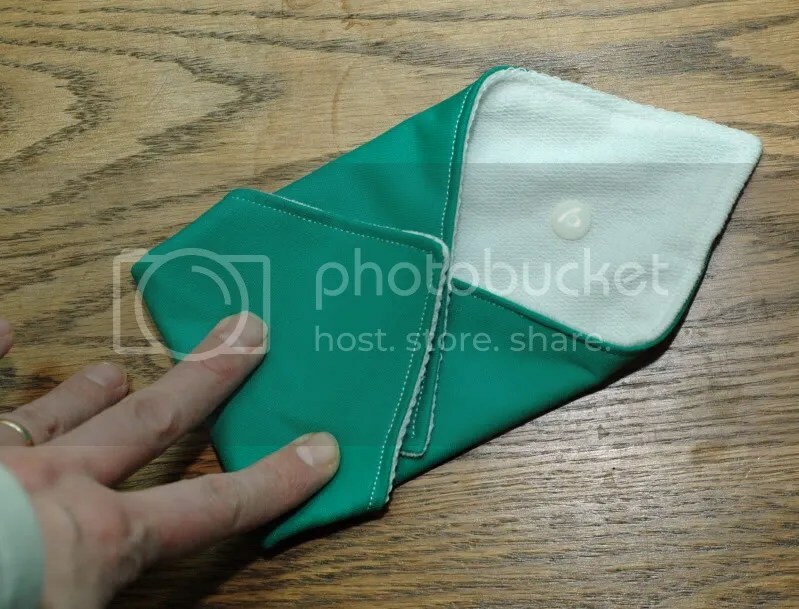 Fold over the other two corners so that one snap is underneath the cloth and one snap is on top, making a square. 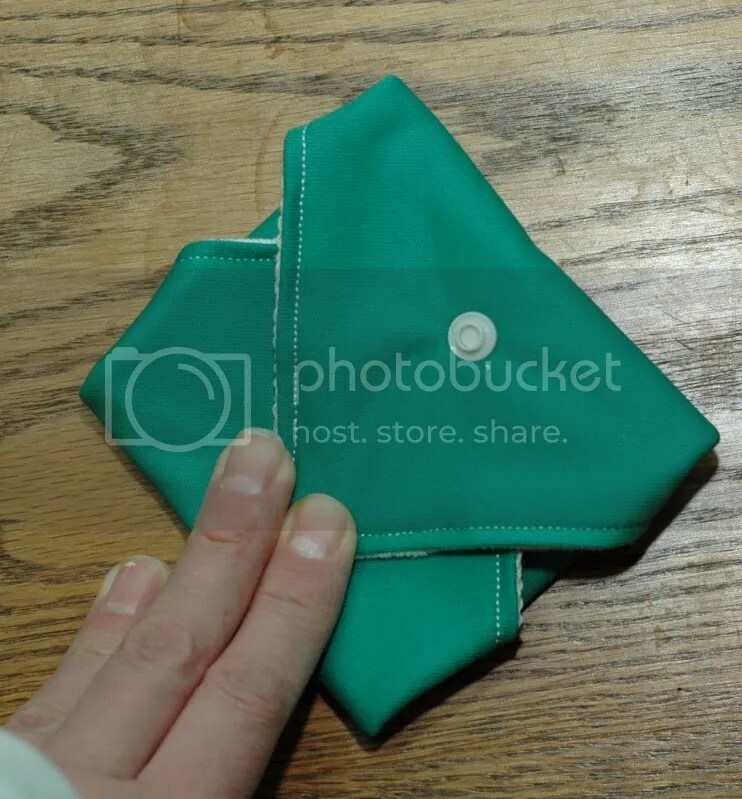 Fold in thirds to snap in the middle. 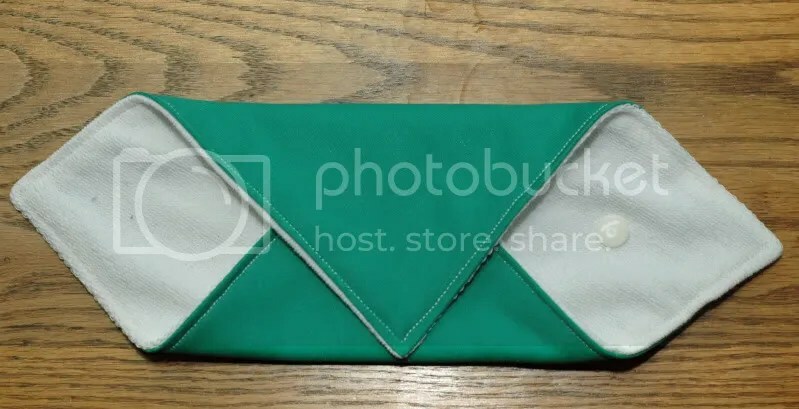 It should look like a cute little clutch purse now. 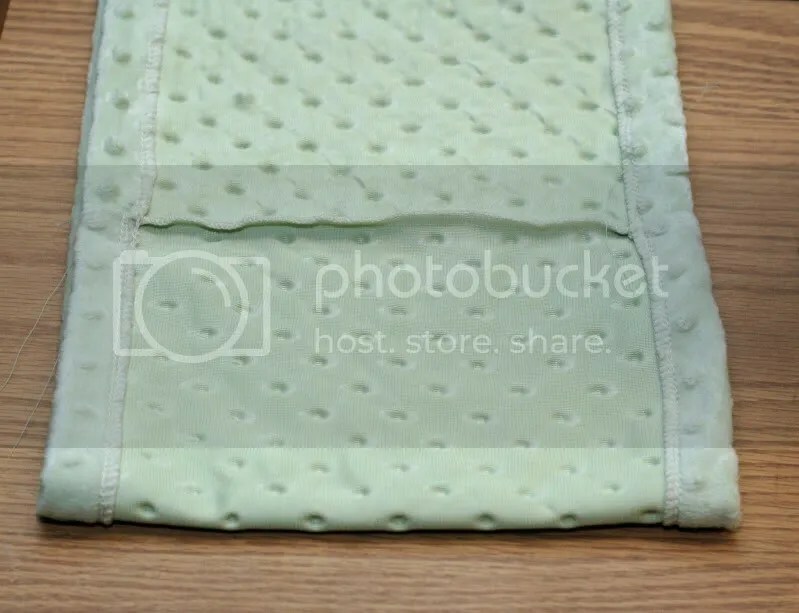 Tuck in any absorbent edges that might poke out. Ta-Da! Aren’t you a smart, crafty and prepared mama?